These selections work well for a wedding reception, open house or anytime the situation calls for a meal without available seating. Our clients rave about the high quality and presentation. DJ's has you covered. Please review our Appetizers Buffet menu below to find several items that interest you. We will be happy to prepare a detailed proposal for you based upon the selections you make. Our prices may vary (higher & lower) depending on several factors including group size, location, and date. This assortment is just right for cocktail hour at a wedding reception or for any occasion before a full course meal. Spiced with Worcestershire & Tabasco - served hot! 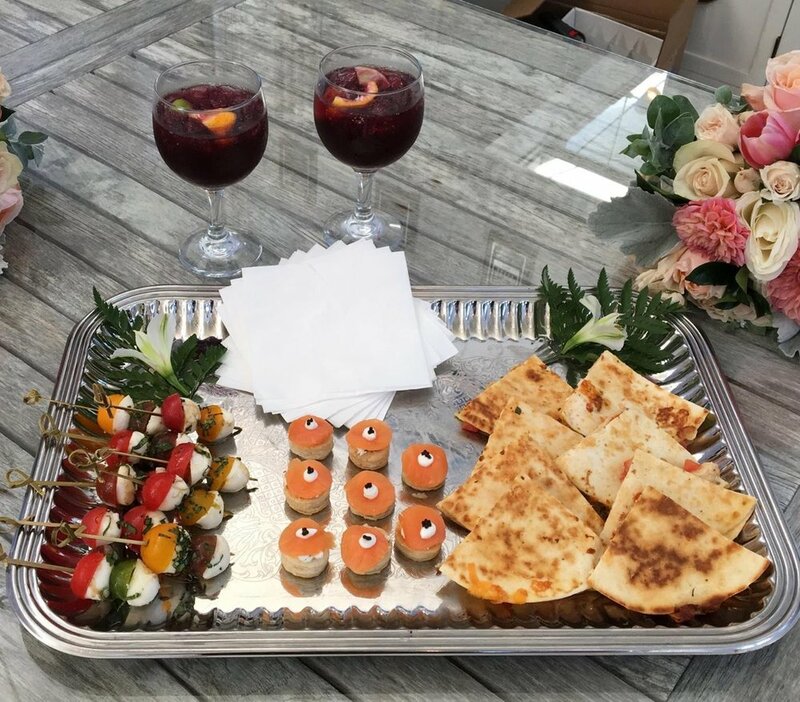 Feel free to select your favorite appetizers to create a unique menu that suits your style and tastes!